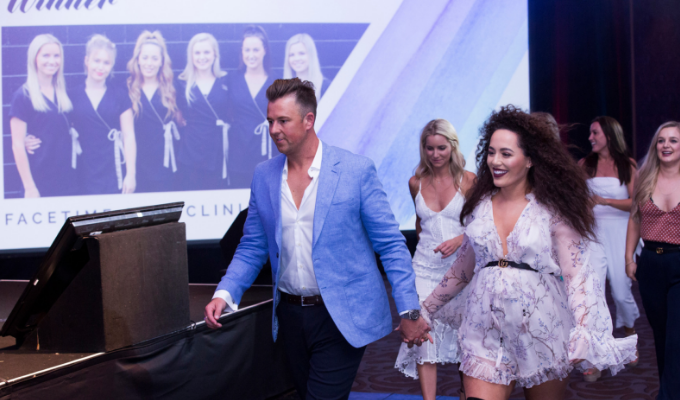 We caught up with Michael & Melissa Gladding, owners of FaceTime Skin Clinic in Auckland, to discuss their win at The Industry Awards 2018! 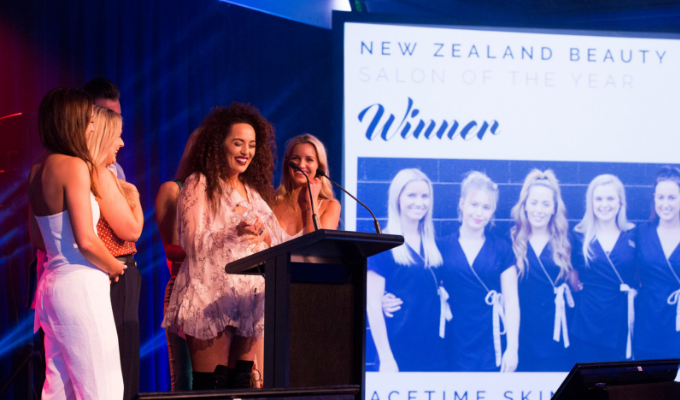 How does it feel to be the New Zealand Beauty Salon of the Year? It’s absolutely amazing and we’re over the moon! As this is the first time we’ve entered, it was an experiment to see what the entry process was like and review the feedback we received. Although you’re always hopeful, we never thought we’d win, so we’re thrilled! 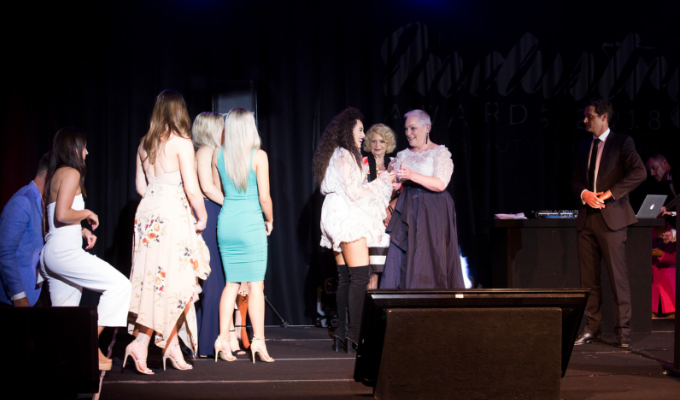 We also really appreciate having The Industry Awards and the New Zealand Beauty Salon of the Year award so as an industry we have the ability for people to be recognised for outstanding work. Definitely professionalism. From the minute a client walks into the clinic, and throughout their time with us, we always maintain a high standard of professionalism. We make our clients feel welcome, like they belong, are listened to, and we have a high level of attention to detail. It’s what makes them want to come back. We also offer results, not just services, and that’s what we wanted to achieve from the very start. It’s nice to offer fluffy treatments, but we feel if you want long term clients you need to produce results for them. What’s the underlying philosophy of your clinic? Confidence is at the centre of everything we do. If people feel confident in themselves, then they can do anything. Everything starts from the top and feeds down. So as owners we’re confident in ourselves and that feeds down to our team. We want them to be confident and pass that onto our clients. Being able to give clients with skin conditions an in-clinic and at home treatment plan, and see them experience results is so incredibly rewarding. You can just see their confidence come back! What do you believe your clinic offers clients? Confidence, extraordinary service, results and an incredible connection. We want our clients to receive the same response and results from any of their therapists. We ensure our clients aren’t just a number, instead they walk out with a meaningful connection. We’re also always at the forefront of the industry when it comes to what we offer. We have the best products and services, we work with state of the art machinery and we’re really big on training to ensure our team can work with confidence and deliver confidence. What motivates you personally and professionally each day? We want our business to be successful, so we are absolutely motivated by that. We also want to create a lifestyle for ourselves and allow our team to lead the lifestyles they want. That starts with us and we want to help our team achieve that. We genuinely enjoy people too – we really like seeing and communicating with clients, so we are motivated when we can have an impact on people’s lives. Of course getting feedback and seeing nice comments is rewarding also. Where to in 2019? What direction do you see your business taking in the future? Onwards and upwards, the sky’s the limit! In the next year we want to grow which may mean making the clinic larger, opening another clinic or even rebranding. We’re also looking at supplying and distributing a brand in New Zealand. How do you feel entering The Industry Awards has helped you as business owners? It’s made us have a real look at our business and even made us realise there were things we always planned to do, but never executed. So we’ve now gone back and actually put some of those initiatives into place. It was also great to really stop and look at our numbers and core values, and use that to see where we want to go from here. What advice would you give to other salons about the entry process? It’s hard work, it does take effort and it’s not a quick process. We personally put a lot of time and thought into our entry, and particularly how we would present it. The biggest thing is commitment because we can all make a start but what it’s really about is finishing it. Having entered has now given us the confidence and encouragement to do it again, so we really recommend doing it. What would you say to salons, spas and clinics considering entering The Industry Awards in the future? It’s a really good process to go through. Actually looking at your business, seeing where you can improve and analysing the data that Kitomba provides to see what’s happening and where there are trends is so important. We think it’s about being able to see the nitty gritty rather than just the day-to-day because you’re usually already on top of that.